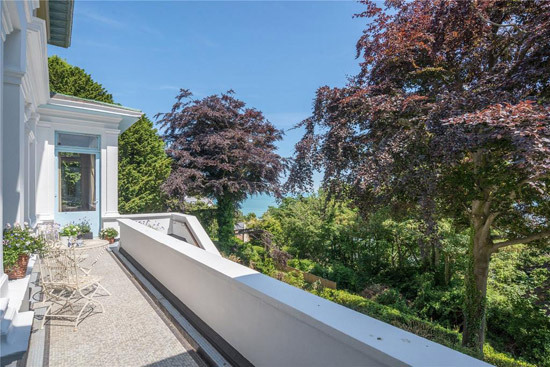 This 1920s art deco-style house in St Margarets Bay near Dover, Kent really is all about the wonderfully preserved interior. 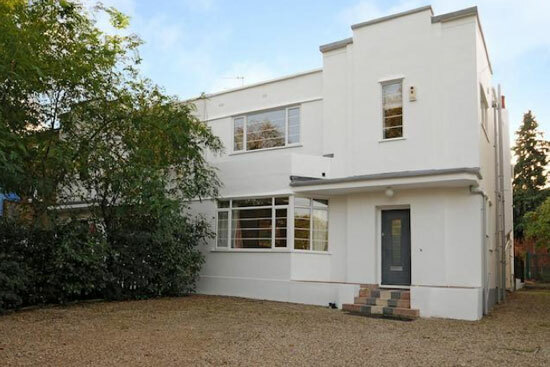 Not that it was intended as an art deco property. 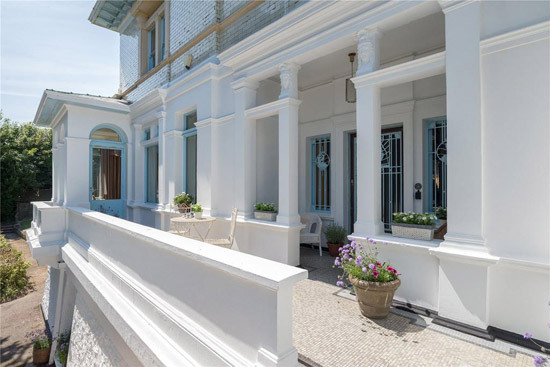 The architecture itself is described as being in the style of an ‘Italianate seaside villa’ and was one of the first houses to be constructed in the bay. 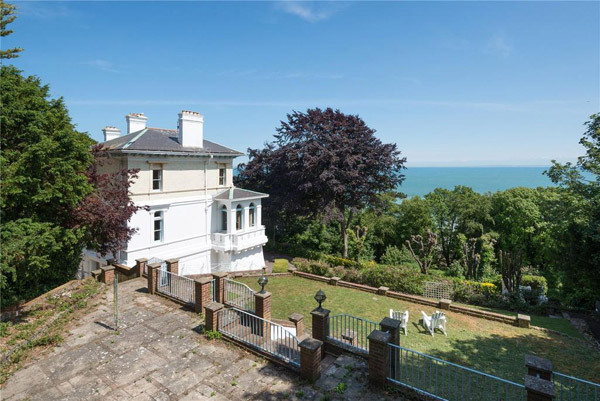 However, South Foreland House was remodelled in the 1920s as a result of the area becoming fashionable with the ‘London artistic set’. 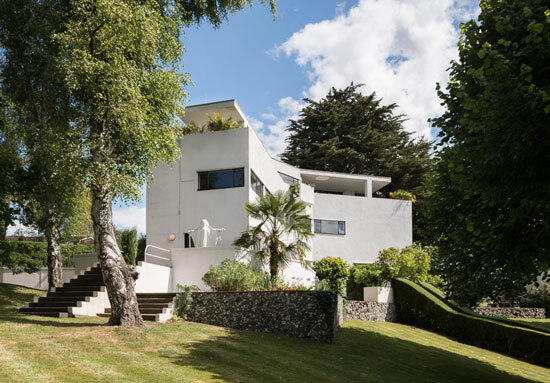 At that time it was reworked in more of an art deco style, with much of that detail still evident. Of course, the exterior still has more of a classical look and the outlook, which offers those Channel views, is also unchanged. The selling point here is found beyond the front door. 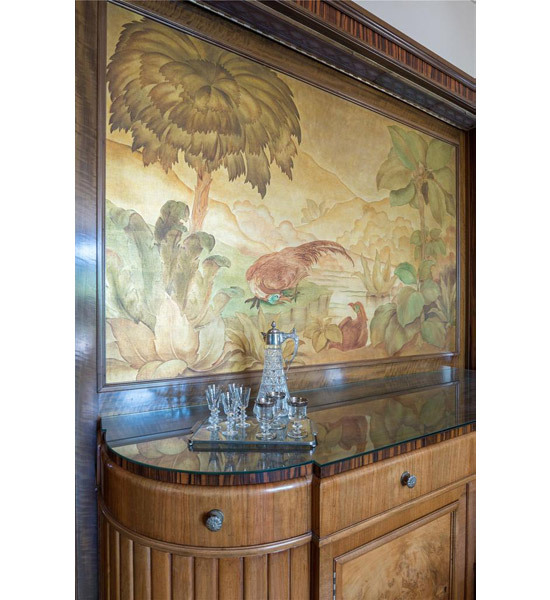 Much of the detail of the 1920s is still in place and lovingly maintained. 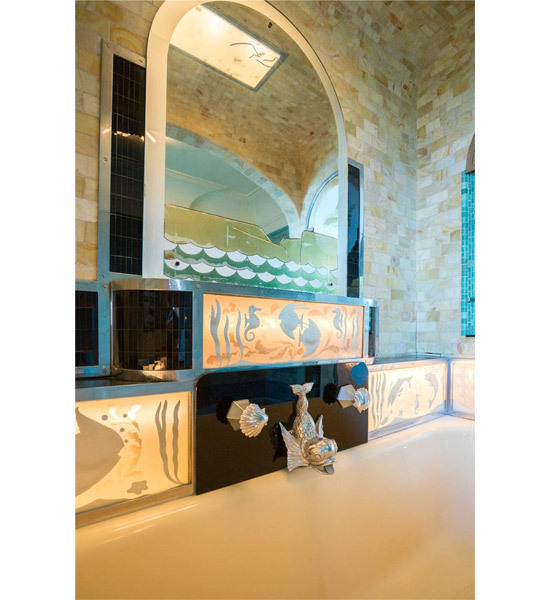 Opulent and very much of the era, this is a step back in time to the roaring ‘20s. 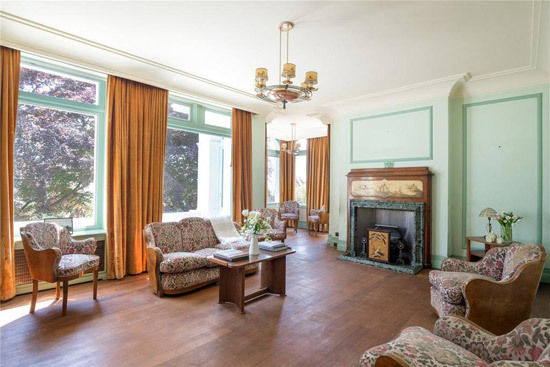 Some of it is understated period charm, like the living room for example. 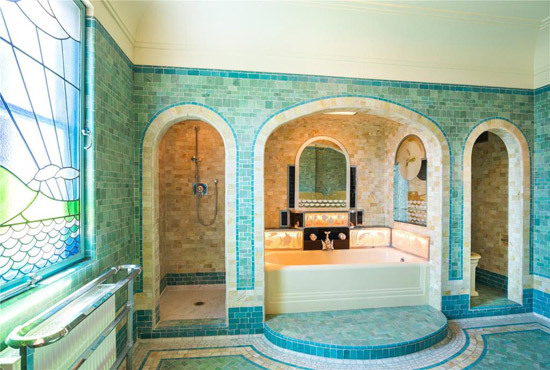 But things get turned up a notch in the hallway and the dining room and hit their peak when it comes to the bathroom. 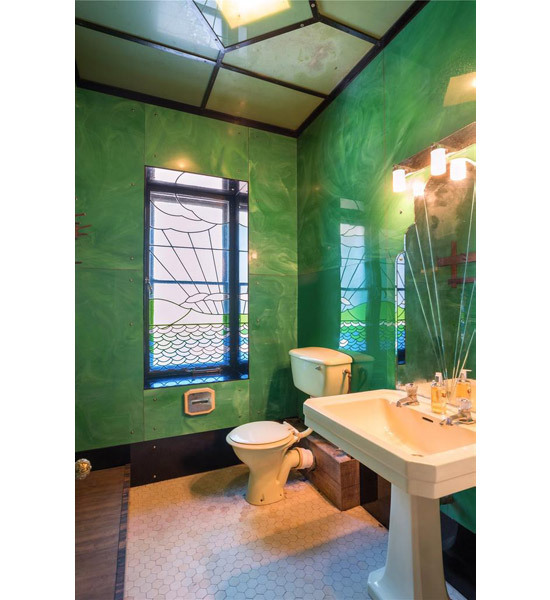 You will have to look hard to find a bathroom quite as glamorous as this one. Not quite a time capsule, but it would be so easy to lose yourself in the past in this place. Fancy that? 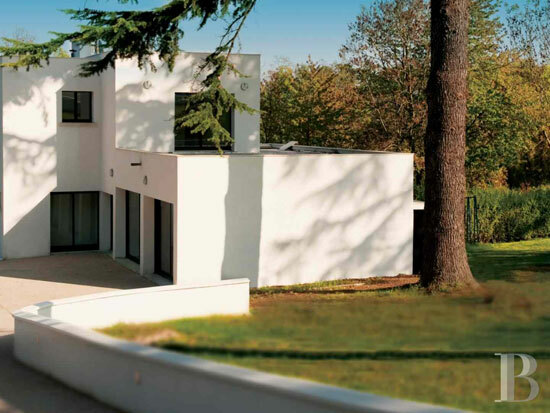 Well, let’s look at the house in more detail. 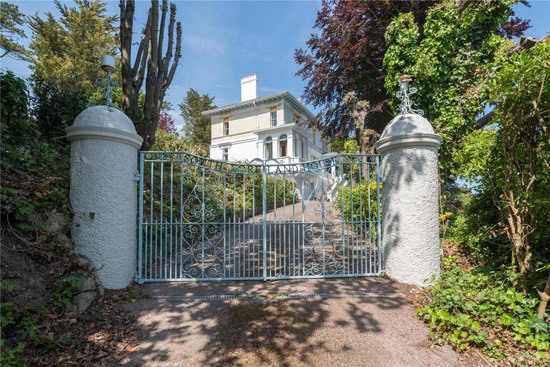 From the drive, wide steps lead up to a raised terrace and the front door, taking in the lovely wrought ironwork on the door showing a galleon in full sail with accompanying stylised sea creatures on the side windows. The hallway definitely prepares you for what’s to come. 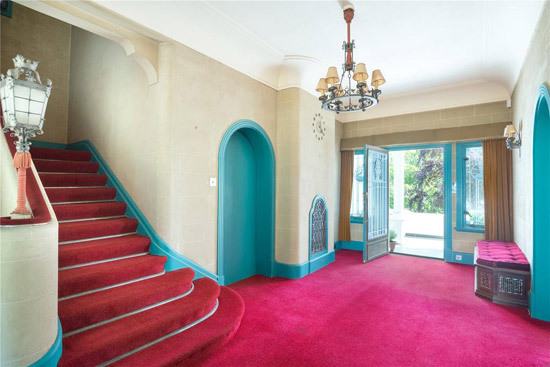 The agent describes it as ‘understated elegance’ with trompe l’oeil block work and a sweeping staircase with an unusual velvet hand rail. 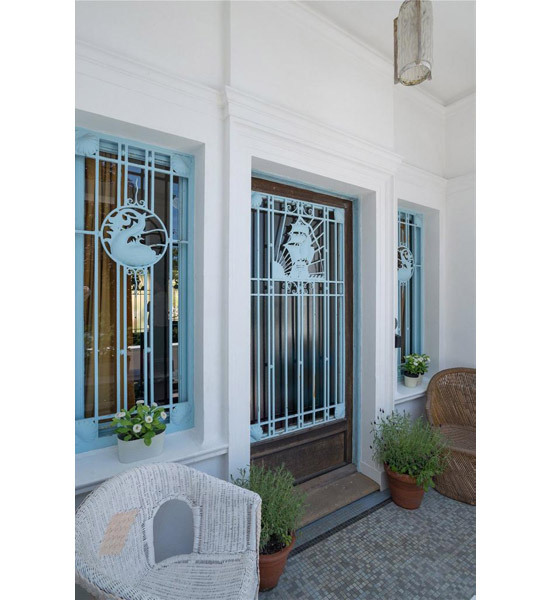 The original turquoise paintwork is also still present on the round-headed door cases. To the left of the hall is the drawing room with original panelling and a door onto the terrace, as well as an open fireplace with an inset chinoiserie panel matches the original ceiling lamp and silk shades. 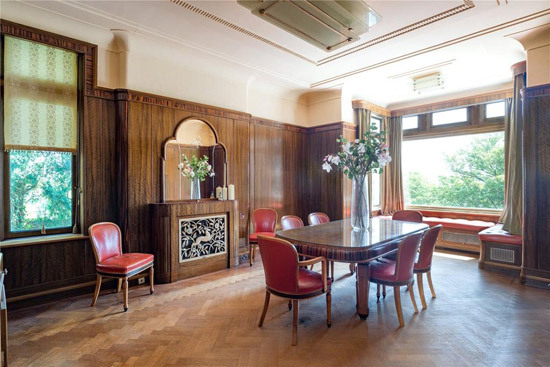 The dining room is to the right of the hall, complete with walnut panelling to nearly full height and a large painted panel. 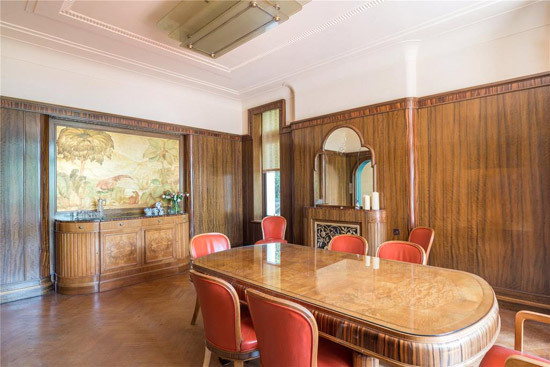 The kitchen is also on this floor and another part panelled room with ‘an intriguing fireplace’, including a stone marquetry mountain vista. 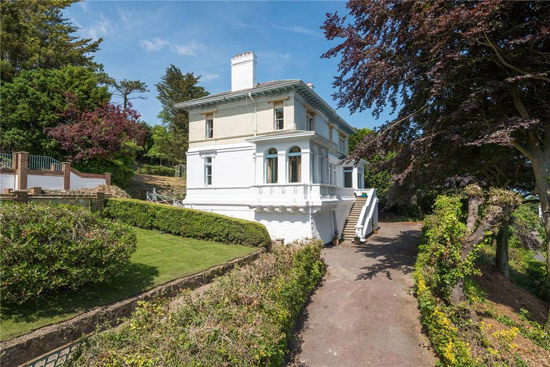 Head up that staircase past the stained glass window to the first floor and the main bedroom with fitted wardrobes and a dressing table with an ornate mirrored surround and the en-suite bathroom, described as ‘the jewel in the crown of this house’. 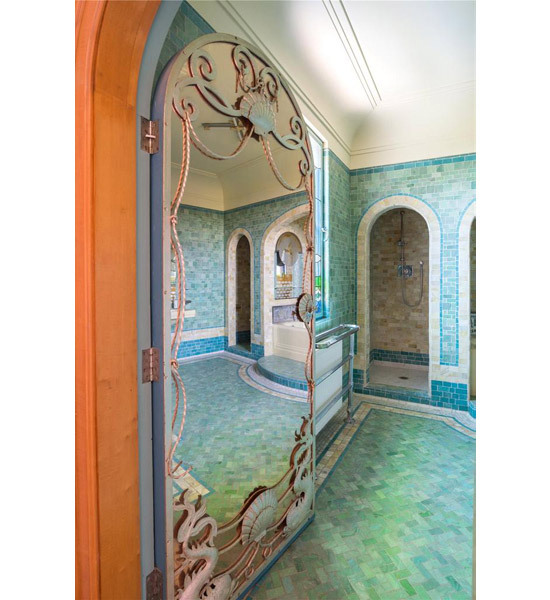 That bathroom is detailed in mosaic tiling, while a recessed alcove houses an ornate bath with backlit glazed panels depicting ‘stylised sea life’ and an ornate ‘fish head tap’. To either side of the bath are alcoves for the shower and WC. Two further bedrooms and a bathroom complete the first floor layout. 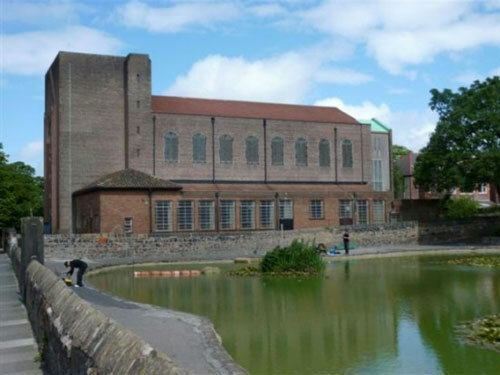 There is also a large lower ground floor featuring a games room (formerly the ballroom) and the original kitchen and store rooms. According to the agent, this area has been ‘prepared for restoration’ with much of the plaster having been removed in readiness for further work. The gardens have been landscaped as terraces with interlinking pathways. To the west of the house are steps leading up to the wide paved terrace and there is an integral garage and an adjoining single garage. 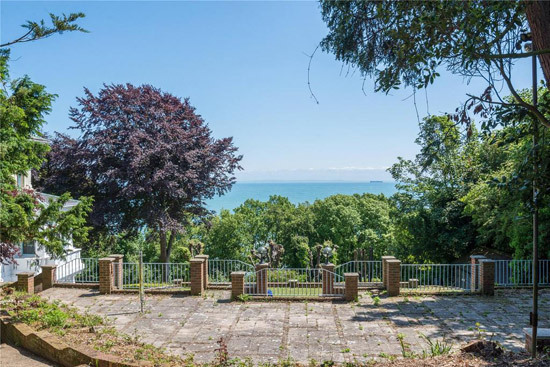 A fascinating place, but not cheap with a guide price of £1,500,000.